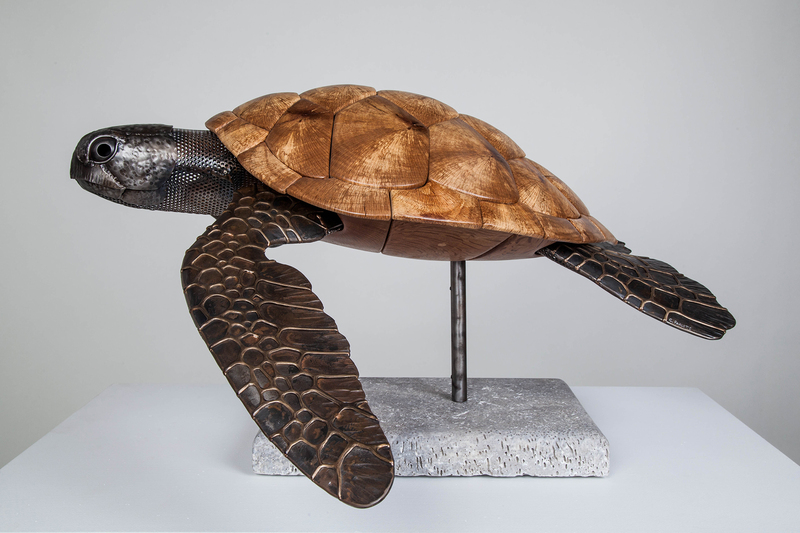 Far from sedentary, turtles are nomads and each year will travel thousands of miles throughout the tropical oceans of the world. 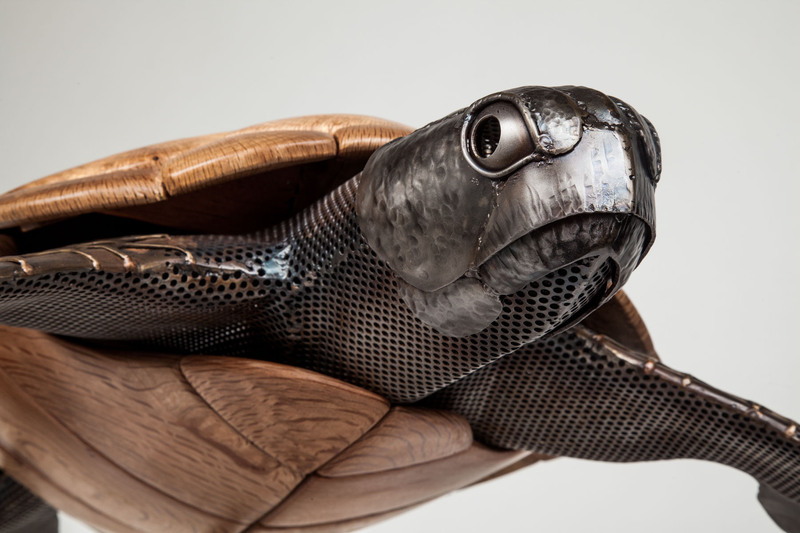 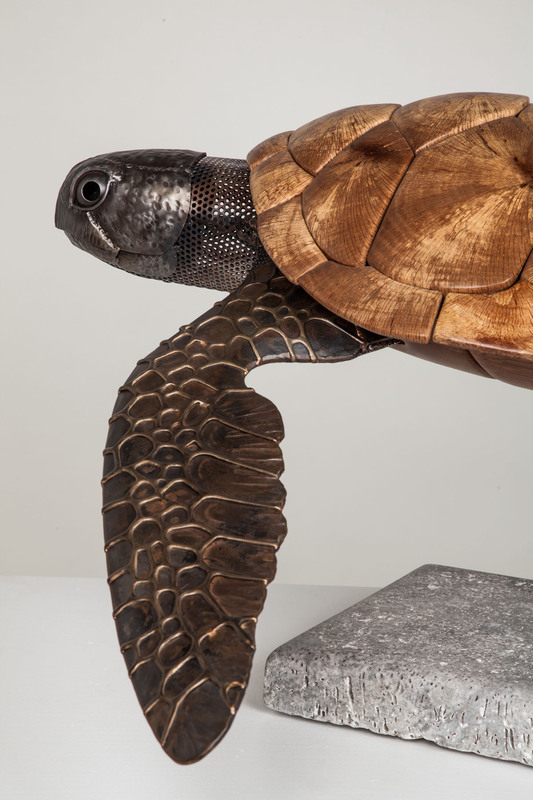 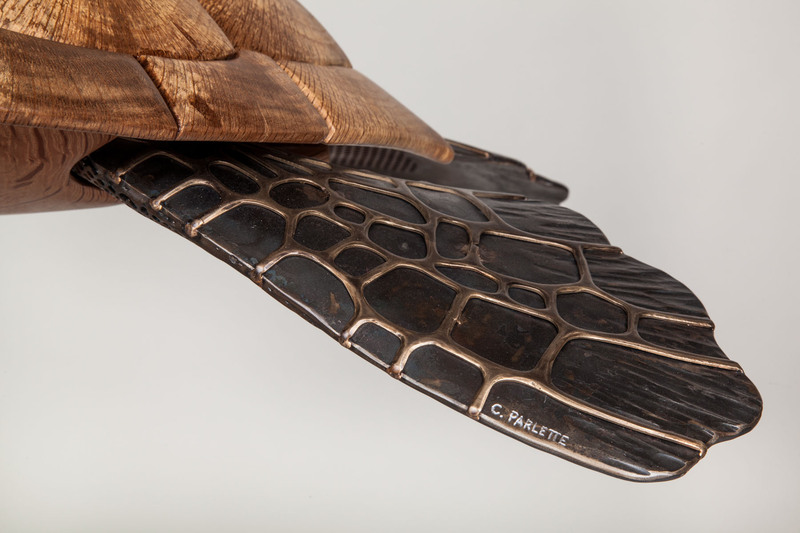 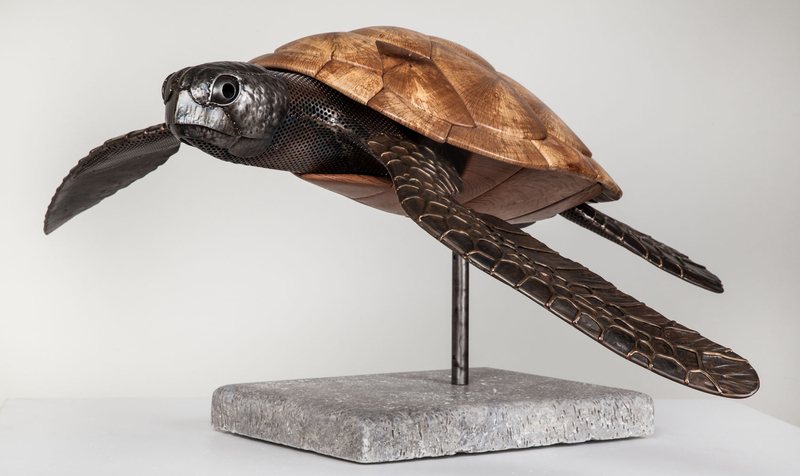 This turtle sculpture strives to capture the grace and beauty of a swimming sea turtle. 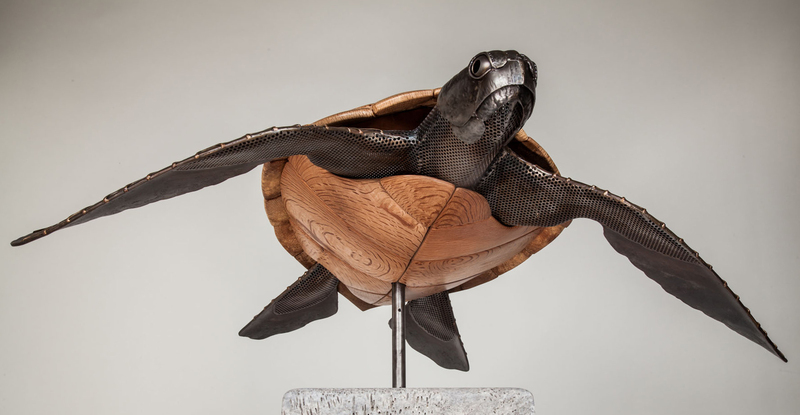 The shell is comprised of individual pieces of California oak; the head and fins are welded steel and bronze. 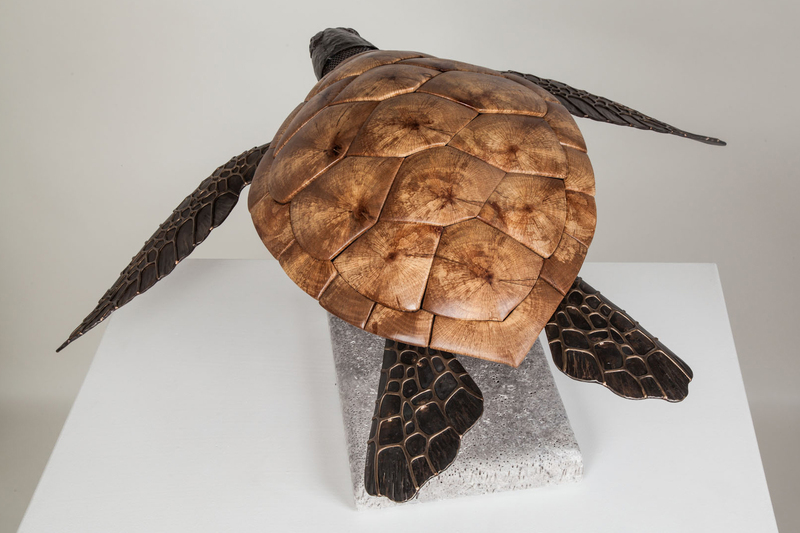 The base is travertine.